I used Sugarpill Buttercupcake, Dollipop and Poison Plum, Urban Decay Fishnet and Shattered. 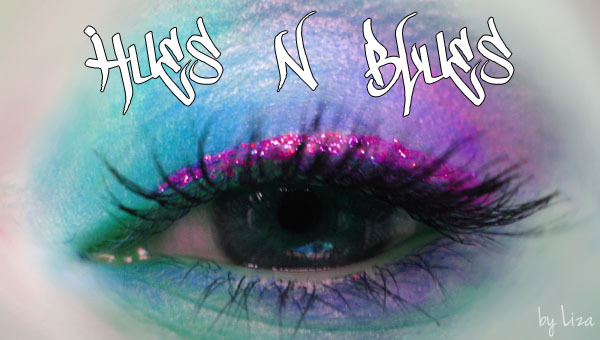 With Accessorize glitter liquid eyeliner in Purple Haze over black liner. I have no idea why my eyebrow looks yellow here lol.